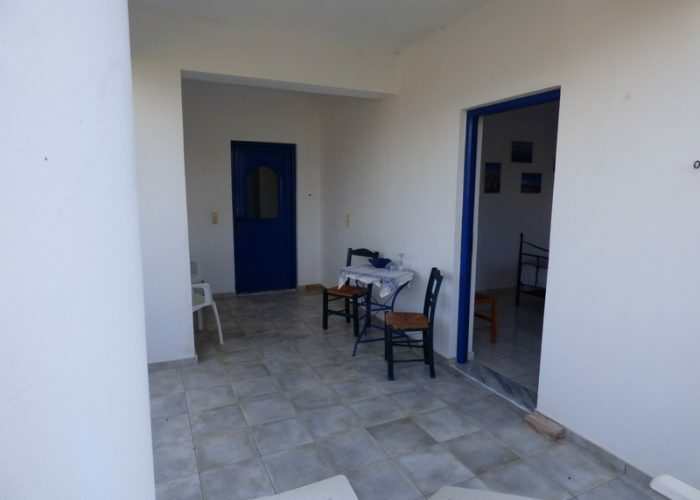 The detached Villa is on the outskirts of the old village of Sivas on the edge of the Messara plain, The Villa has much to offer to the discerning traveler. Being just under one hour’s drive from the airport. Jasmine built in ‘02 offers a large airy room that has furnished to a high standard having a double bed and generous wet room. All round balconies with sun loungers and panoramic views. 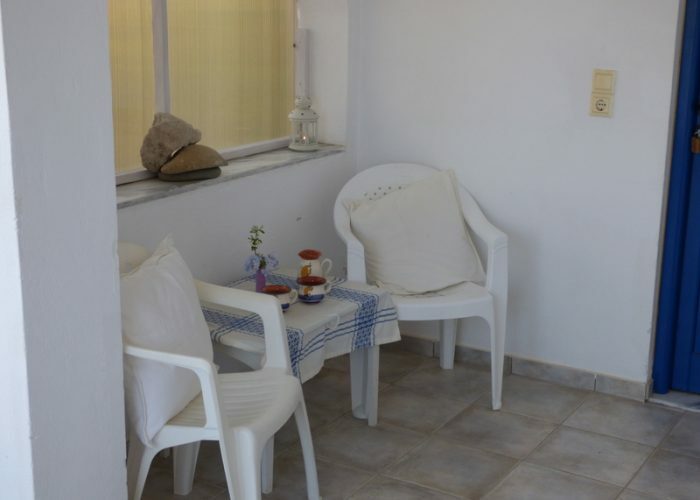 There is a shared garden and patio area with comfortable garden furniture in a peaceful location. 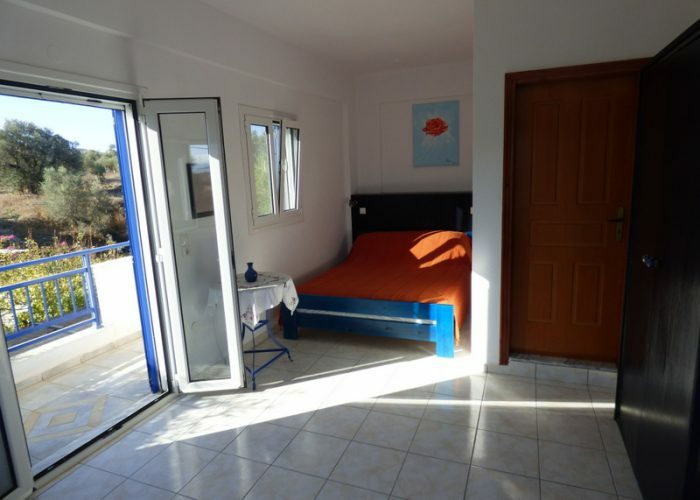 The room has all the necessary equipment that is needed for a successful and trouble free Cretan holiday. Bedroom and bathroom linen are included in the price of rental. The room has a fridge and a kettle and all the equipment for breakfast and snacks. A full European breakfast can be provided at an extra cost by arrangement. There is a double sofabed which can be used by arrangement. Maid service is weekly unless otherwise requested. 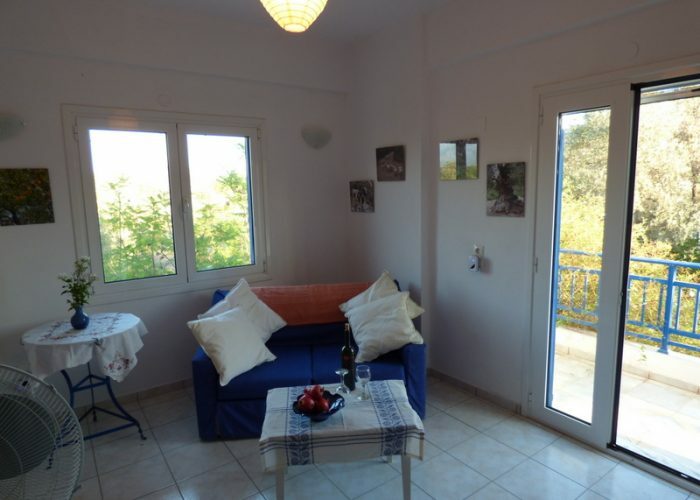 Villa Elonas is just a few minutes walk from the village of Sivas.